Last year Cricket magazine contacted me regarding my illustration called "Dragonflower," which I drew for a homework assignment while at the Academy of Art. (I got a B on it. Art school is no joke.) Cricket wanted to license it for the cover of their May issue, as well as have me design a matching illustration for the table of contents page. This is the original illustration. The art director told me that Cricket likes to have some sort of "surprise" element on the back cover; something that continues the narrative from the front cover. 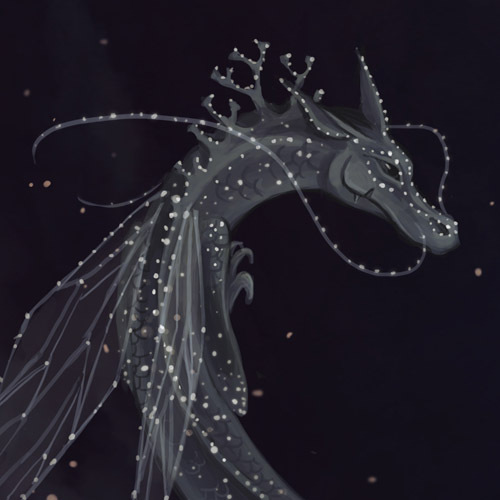 She asked me to add an additional dragon to the back, so I suggested a dragon made of stars, as if the energy from the four elemental dragons is bringing the space around them to life. 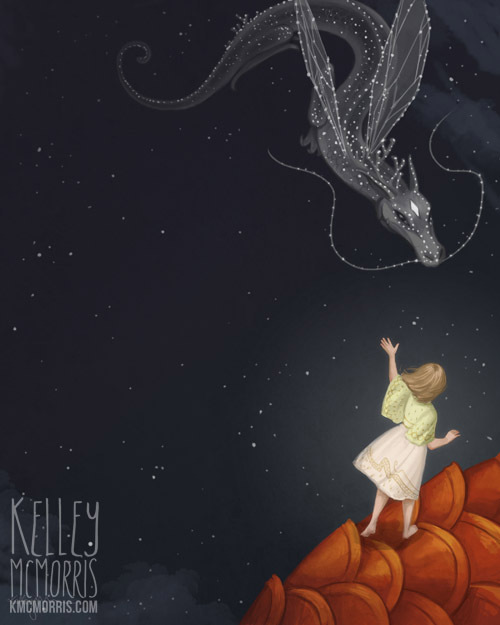 On the table of contents page I wanted to focus on the little girl who is riding on the fire dragon. The girl is so tiny (it was a requirement of the homework assignment) that sometimes people don't even notice that she's there. I sent the art director a few different ideas for the table of contents page; luckily she chose my favorite rough. Having the girl stand on the fire dragon while waving to the star dragon helps bring the two sides of the cover together. I saw the cover you did for Cricket magazine : Dragonflower. And I think it is totally awesome!!! It's funny because my first look was COOL then hey! it's Mina from The Tapestry Series. Because Mina finds a baby dragon and she names it Ember. And the girl in your drawing is on a fire dragon. 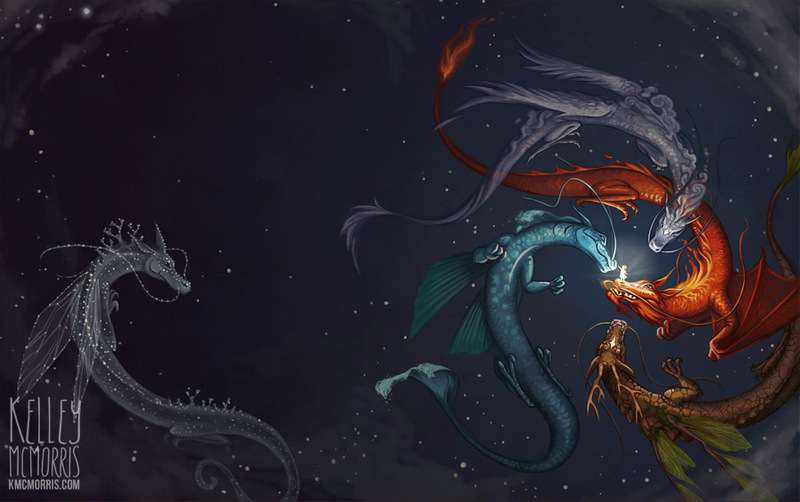 I think the starry dragon on the back is like the all mother or something or all 4 dragons combined. p.s I think my friend would like it too since we both like dragons. You can pick up a copy of Cricket magazine at Barnes & Noble. I second that. Awesome! Congrats. Congrats! Getting on the cover of Cricket is a great mile-marker in Children Illustration. Kelley! This is beautiful! Great job! So amazing!!!! I bought the issue on my Kindle! That's so awesome! Congratulations Kelley!! Congratulations! I love how whimsical and imaginative it is. :D And that kid's email... so adorable.